As some of you may know, bootleg anime products is a major problem in the industry. Good Smile Company, Kotobukiya, Square-Enix figures are constantly being bootlegged by cheap Hong-Kong/Chinese factories. 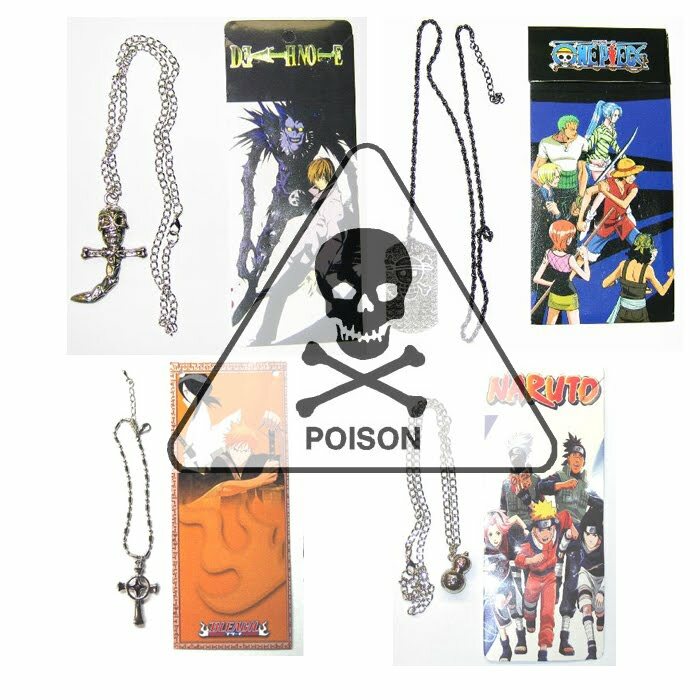 Same goes for popular jewelry and accessory items from big hit series like Bleach, Naruto and Death Note. As of late yesterday, my main wholesaler, AAAanime.com put out a notice they received from Viz about recently recalled products. The products were not that of Viz or their licensees GE Animation and Great Eastern, but from the stupid bootleggers, Team Work Trading. The issue? Well, what's been a problem in many cheap Chinese factories? LEAD POISONING. That's right, if you have bought these horrible copies from a bootleg seller on eBay, at a con, online, or anywhere else...GET RID OF THEM! Please note that my company, Chuck's Anime Shrine does NOT and will NOT sell ANY bootleg items. My company is a legit anime business and is registered with only the real suppliers in the industry (AAAanime.com, Diamond Comics, YesAnime.com and Mile-Stone.jp). 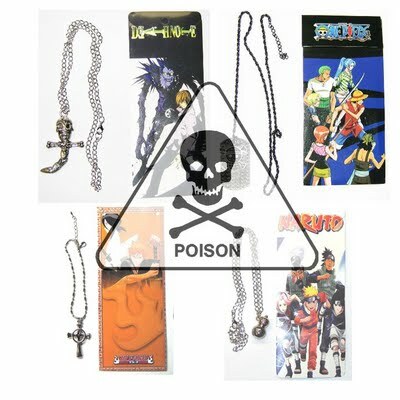 ALL Naruto, Bleach, Death Note accessories that I might sell in my main store, Amazon and eBay branches are the legit, non-toxic GE Animation/Great Eastern products. If you see anyone on eBay selling this crap...report the listing and the seller right away.